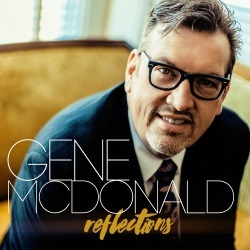 Gene McDonald's roots in gospel music run deep. As a child, this renowned bass, who has a three-octave-plus range, sang the tenor part with his family as they traveled throughout the Midwest. In his teens, Gene sang with Jack Campbell & the Ambassadors, then attended Ben Speer's Stamps-Baxter School of Music while in college. It was during that time that he joined the Plainsmen Quartet, and later went on to spend nine years as a member of the Florida Boys. Now, Gene is a regular on the Gaither Homecoming tour, as well as performing his own solo dates across the country. "I am so proud of Gene, and it was so much fun working with him in the studio. He really wanted to put together an album that had a lot of joy about it and also conveyed Christ’s love in a real way. Gene is an amazing vocalist, but more than that, he has such a tremendous heart that really shows in every note he sings. I remember when he was singing the verses to 'Jesus, You’re the Center of My Joy.' He just began to cry, and he shared with me about Christ’s transforming power in his own life. He was just so grateful." Reflections features a number of highly acclaimed guest vocalists, many of whom are also familiar from the Homecoming stage, such as Joyce Martin Sanders, Becky Isaacs Bowman, Charlotte Ritchie, Adam Crabb, Angela Primm, Shane McConnell, Devonne Folkes, and Reggie & Ladye Love Smith. The gospel bluegrass band Southern Raised and the Renaissance Choir from Bethel University also lent their talent to the project. Kevin comments, "The players and vocalists were all incredible, and everyone just wanted to be a part of Gene’s project from day one. There are a lot of wonderful, very familiar songs on this project, all of them infused with Gene’s unique personality and style. He is much more than a bass singer. To me, he is truly a one-of-a-kind artist." 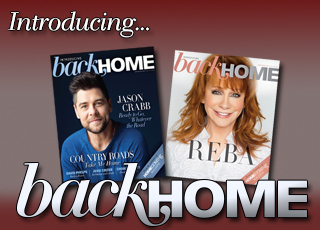 Homecoming Magazine: Would you tell us about a few of the songs that you especially like? Gene McDonald: Well, the first single is "This Old House." It was written by Stuart Hamblen, who was a country/western singer in the movies and sang it in almost like a Texas style. Then George Younce did it for years. I wanted to do a different type of arrangement. Not because I didn't like it, but it was just everybody had done it the way George had done it. Gene: Yes, we changed the arrangement, made it a little more bluesy. I just liked the cut of it. I kind of liked the mix between Stuart and George. Adam Crabb and Shane McConnell joined me on that one. Then the song "Reflection of Perfection" was written by Steven Curtis Chapman. I remembered hearing it back in the '80s, and it was pretty good. The newest song on this album is "Hallelujah for the Cross," which has been recorded by Shenandoah and was a number one hit for Newsboys. I heard that one because my XM radio tore up on my bus, so I found a Christian radio station and "Hallelujah for the Cross" came up. I just thought it was a contemporary praise and worship song that had meat—that's the reason why I loved it. It talks about the cross and the blood; it's just a great song. HC: Did you change the arrangement of that one at all? Gene: I did. It's a little more Southern Gospel, a little more country than the way they did it. And it's more of a Celtic feel to me—we kind of did it that way with the drum. Reggie and Ladye Love sing on that one, and it was unbelievable how good they did. HC: You've got a whole bunch of special guests on this project. Gene: Oh yes ... we had Joyce Martin Sanders, Charlotte Ritchie and Becky Isaacs [Bowman]. I have Angie Primm and Devonne Folkes, who is a backup singer with Angie. She's really good. HC: I bet that was fun. Were you in the studio with the other singers? Gene: Yes, I was in the studio with all of them. It's been good. Then the Renaissance Choir from Bethel University sang on a couple of them. I drove to McKenzie, Tennessee, for that and sang in the studio there. They did very well. They sang on "Stand By Me" and "Jesus, You're the Center of My Joy." HC: Other than the singers, were there any musicians we might know on the project? Gene: Yeah, Buddy Greene played on a couple of tunes. And then Kevin Williams, Matthew Holt and Greg Ritchie all played. It was family made. It was all my Homecoming family. We just had a ball doing it. HC: Well, I hope it will be a very successful project for you. Are you going on a solo tour, or are you mainly doing the Homecoming shows this year? Gene: I'm doing solo and Homecoming shows. HC: So what else is coming up this year that you're excited about? Did you make any New Year's resolutions or anything like that? Gene: No, New Year's resolutions are usually broke within the first two weeks. I just want to see how [the album] does and just follow the lead of the Lord and go with it. HC: Well, I know the Gaither Homecoming crowd sure loves you and will enjoy the album. Gene: It's awesome that I get the chance to do this. I've been doing it since '94, and it's hard to believe that Bill Gaither still likes me. (laughs) But I have fun with all the Homecoming friends. Gene: Well, when I moved to Nashville, I lived in Ben Speer's studio for six months. I had a pickup truck and anything that Ben wanted, he called me. He'd say, "I bought a new washer and dryer; come pick it up." I'd get it and take it to his house. But the gratitude that I had and the debt that I felt like I owed him ... if it wasn't for him, I wouldn't have gotten on the Gaither stuff. When that happened, I was out on tour with New Kids on the Block. Gene: Yeah. I was in St. Louis, I was an unemployed gospel singer, driving the bus for them. I was driving across from St. Louis and was dropping them off in Boston. I just called Ben and I said, "Hey I'm dropping New Kids off in Boston on the third of May," which was my birthday. I said, "I'm going to go back through Nashville on the way to Corinth, Mississippi, and I'd like to take you out to lunch." Ben said, "What are you doing on the 6th and 7th?" I said, "I guess I'm not doing anything. Why?" He said, "I've got a recording session I need you on. Brock's got to leave early. I need you to sing on it." I said, "Well who's it for?" He said, "Bill Gaither." I said, "OK!" I dropped [New Kids] off at midnight on the morning of the 4th, slept til 10:00 that morning, and drove from Boston, Massachusetts, to Nashville. I got into Nashville at 6:00 on the 5th. They were doing a three-day session, but they didn't think I'd be able to be there on the 5th. I was so excited that I couldn't have slept if I wanted to. I went to the hotel, got me a shower, and went to the studio at 9:30. I had not read shape notes or music in like three years. All I wanted to do was get the music, go back to the hotel and sleep. When I walked in the door, Bill goes, "Your mic is over there." I said, "I'm not supposed to be here til tomorrow." He said, "Just go over there." I started singing with Rex and Brock. That started the trio. The three of us sang until Brock died. That's how it all started for me. If it hadn't been for Ben's influence ... I think I would have made it at some point, but I don't think that it would have progressed like it did. HC: Did he connect you with the Florida boys? Gene: He did. I sang with Plainsmen Quartet in the early '90s, left them in '92, and started driving buses because I was going broke. I drove for senators out in Corinth, Mississippi, until 1997. Twice, Ben had told me the Florida Boys might be hunting for a bass singer, but it never did come through. Then in '98, I was doing a session for Gaither in January. Rex Nelon pulled me over to the side and he said, "If you want a singing job, here's the number for the Florida Boys. You need to call this number." I was singing on that session with Jake, Rex, Brock, Eldridge Fox, Brian Free, Ivan Parker, Jimmy Johnson, all of them were in there. There was like 25 of us. Everybody in there could read music, and we were reading off the sheets. They were changing arrangements as we go and that kind of thing. I asked them about the Florida Boys opportunity, and every one of them said, "I think it would be a good opportunity for you. It will mature you." I was a cut-up, loved too much fun, that kind of stuff. I would hang people.... That was just part of me. That was just day to day back then. HC: You would do what? HC: That might require a little more explanation. Gene: (laughs) Like if a guy was walking by and I saw it in time, I could say, "Hey!" He would turn around and look at me, and then I'd say, "What time is it?" That's hanging him. Ben Speer and I were like two cohorts in crime; we were like Frick and Frack when it came to that kind of stuff. 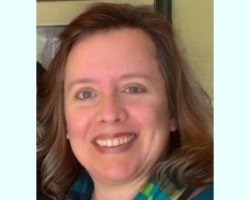 One of the funny ones that I love to do is with my wife, Teri. It's not a "hang," but we'll be walking in Walmart behind someone. I'll say to Teri, "Well, I don't think her pants are too tight." Teri is just like, I'm going to murder you. It's fun. My wife hates that. HC: Ha, I would think so! How is your son Nathan doing? I love the photo of him on Facebook with the little drawn-on mustache. Gene: Doing good. That picture is from Halloween one year. He wanted to be his dad for Halloween. He made a mustache, put on his suit coat. HC: That is awesome. Is Nathan musical, like you? Gene: He is. He's a very good singer. He's got pretty good pitch, I'm impressed. He's a better piano player at this point than I was at his age. He's got timing. He wants to learn how to play the drums. HC: Get some good ear plugs! Gene: It's either that or a trumpet. I don't know which one is worse. HC: That's funny ... sound-proof that room! Well, I know you have to get to your next interview ... is there anything else you'd like to mention about the new album? Gene: No, the only thing I would say is it's a labor of love. HC: Thanks so much for your time, and we look forward to hearing the new music! Gene: Thank you. I enjoyed it.